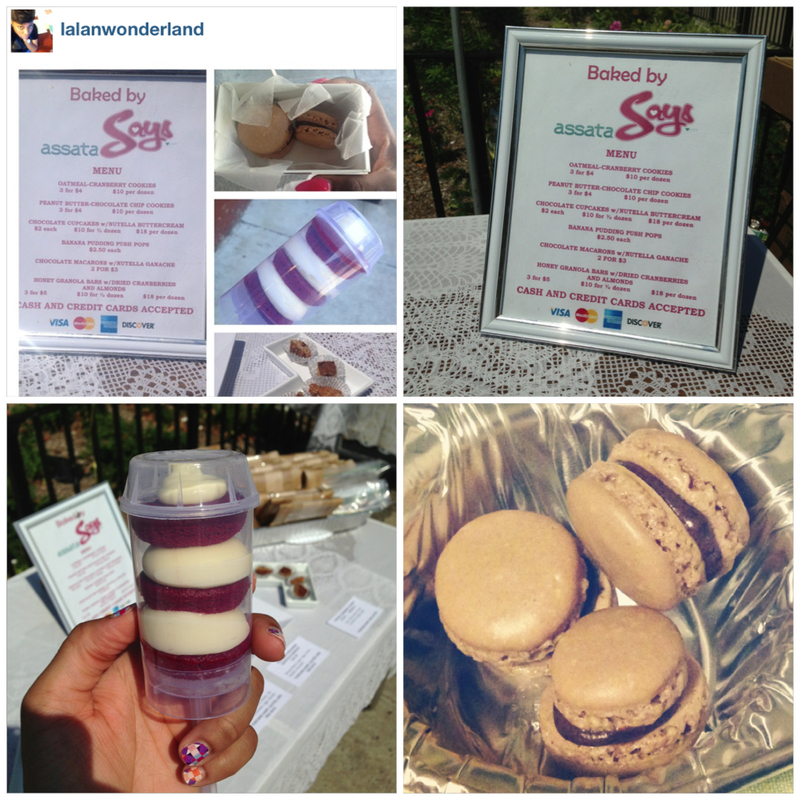 This past Saturday was my second #BakedbyAssataSAYS Bake Sale and I am happy to report that it was a success! I sold out of everything and got to see so many happy faces. The best part of the day was seeing everyone’s reaction after trying the samples. The macarons were a big hit. I want to thank everyone who reblogged, and reposted, and retweeted, and regramed about the sale. I also want to thank everyone who came out in the blazing sun to buy stuff and hang out with me. I appreciate you all and I hope we can all do it again next month! Be sure to check out HerAgenda.com for info on the next Tweet Chat (it’s this Wednesday). This entry was posted on Monday, June 17th, 2013 at 1:21 pm	and is filed under DINING, EVENTS. You can follow any responses to this entry through the RSS 2.0 feed. Both comments and pings are currently closed.